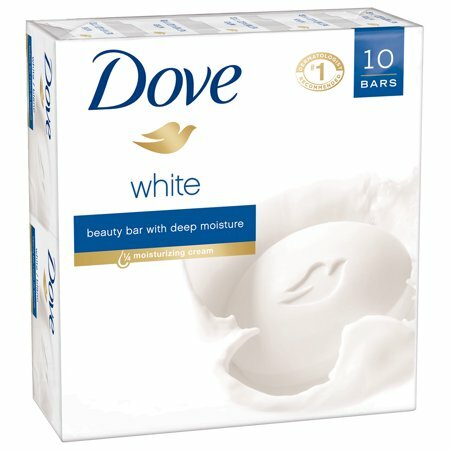 Dove White Beauty Bar combines a gentle cleansing formula with Dove's signature 1/4 moisturizing cream to give you softer, smoother, more radiant looking skin vs. ordinary bar soap. The mild cleansers help your skin to retain its natural moisture rather than stripping it away. This Dove bar even helps to replenish nutrients that are lost during the cleansing process – where a regular soap bar might leave your skin feeling dry and tight. It's not a soap bar – it's a beauty bar. What makes Dove different? Its gentle cleansers help your skin retain its natural moisture and its mild formula is kind to your skin. For best results, lather up your Dove Beauty Bar and massage the smooth, creamy lather over your face and body before rinsing thoroughly. For soft, smooth hands, you can also enjoy regular hand-washing throughout the day with your Dove bar. Bath soap bars may dry out your hands, but the classic moisturizing formula of Dove bars will leave skin softer, smoother and healthier-looking. At Dove, our vision is of a world where beauty is a source of confidence, and not anxiety. So, we are on a mission to help the next generation of women develop a positive relationship with the way they look - helping them raise their self-esteem and realize their full potential. Ingredients: Sodium Lauroyl Isethionate, Stearic Acid, Lauric Acid, Sodium Tallowate or Sodium Palmitate, Water (Aqua), Sodium Isethionate, Sodium Stearate, Cocamidopropyl Betaine, Sodium Cocoate or Sodium Palm Kernelate, Fragrance (Parfum), Sodium Chloride, Tetrasodium Etidronate, Tetrasodium EDTA, Titanium Dioxide (CI 77891). Instructions: For best results, use daily. I absolutely love this product the dry bar is the best. Great mild scent, lathers well, doesn't irritate sensitive skin, creamy and really does leave skin feeling clean and soft. Wonderful and soft skin!! Acne gone! I use dove to wash my face every night and I have the most radiant glowing skin! My dermatologist recommend I use this because I had adult acne, key word, had!!! Absolutely love it and will never use any expensive face wash again! I have not used bar soap for years but after seeing the commercials on tv for Dove, I had to take the plunge! I bought it just for cleaning my face because of the cream content in it. I love it, so soft and silky, makes the bathroom smell gorgeous and I get a good facial cleaning/creaming. Just love the Dove! 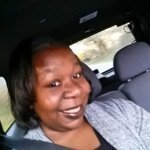 I HAVE USED DOVE BEAUTY BAR FOR 50 YEARS! LOVE IT!